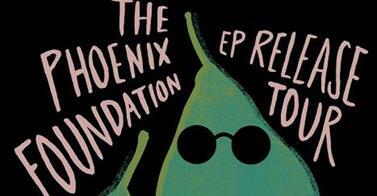 The Phoenix Foundation – Going to the gig in Masterton tonight? That’s right, The Phoenix Foundation play tonight (23rd May) at King Street Live in Masterton. You can buy your tickets here. You can listen to an Arrow FM interview with Luke Buda about TPF’s latest EP Tom’s Lunch and what you can expect from their EP release tour here! Tune in to ReCooper8 at 8pm 19th June for an extended version of my interview with Luke – 92.7FM or click ‘listen live’ here, or download the podcast when it becomes available from here!